Dr. Tsai graduated from National Taiwan University, Republic of China, in 1961. He received postgraduate training at both National Taiwan University Hospital and the University of Louisville Hospital. Dr. Tsai was the Chief of Surgery at Taipei City Hospital from 1970 to 1975. 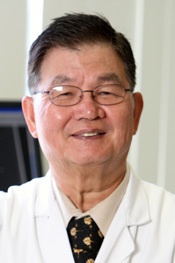 Dr. Tsai served as a Christine M. Kleinert Hand Fellow in 1976. He is now Clinical Professor of Orthopaedic Surgery at the University of Louisville. He is a Fellow in the American Academy of Orthopaedic Surgeons, holds memberships in the American Society for Reconstructive Microsurgery and the International Society of Reconstructive Microsurgery, and is an active member of the American Society for Surgery of the Hand. Dr. Tsai has more than 130 publications to his credit and is actively engaged in research at the Christine M. Kleinert Institute for Hand and Microsurgery. He is board certified in orthopedics and holds added qualifications in hand surgery.